Acer Liquid is one excellent touch screen smartphone available in market. 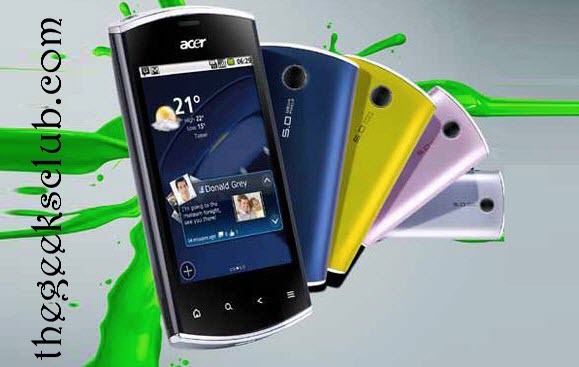 Acer had announced the Liquid Mini at MWC 2011 this February. Acer Liquid Mini is a brilliant Android 2.2 Powered Smartphone which has 5MP camera to capture your fun-filled movements. You can even use it to store your valuable data with external memory expandable up-to 32GB. It contains an amazing 3.2 inches display with Qualcomm 600 MHz processor. For all the smartphone lovers it could be one of the best choice as it provides most of the features within a budget price. It contains all the features which generally comes along with Android Phones like Accelerometer Sensor, Gmail, Google Maps, YouTube, Facebook & Twitter integration, FM Radio, etc. Do share your opinion about the phone and its specifications via comments!